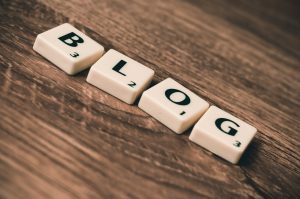 I’ve been blogging regularly since 2006, but it my mind it started out as a way to improve my writing while also increasing my focus and knowledge around my topic on online marketing and entrepreneurship. But soon I realized that I could easily monetize my site if I were willing to set a few things in place. Would you like to turn your words into money in the bank? There are several ways for you to do this online. But one of the fastest, easiest ways is to start up a niche blog. And since a blog is so flexible, there are also plenty of ways to monetize it. Here are the top 3 ways to monetize your blog, even if you are new to this marketing strategy. This is the most obvious way to make money with a blog: If you have products or services to sell, then promote them on your blog. You can put permanent banners and text ads in the sidebar. You can also weave your product links into your actual blog posts. Example: Let’s suppose you’re selling a weight loss book on your blog. You can post a “Top 10 Tips for Losing Weight” article on your blog. And then at the end of the article you can include a link to your book, “101 Tips for Losing Weight.” If people like your 10 tips, then they’ll be eager to buy your book. Because blogging gives you the opportunity to showcase your expertise. When you establish yourself as a trusted expert, people are more likely to buy from you. Don’t have your own products? No problem: You can sell affiliate products. That means that you get a commission every time someone buys a product or service through your affiliate link. There are plenty of big companies that have affiliate programs. One of the most popular affiliate programs for physical products is the Amazon Associates program, simply because your buyers already know and trust Amazon.com. But if you’re going to sell downloadable information products, then one of the best affiliate programs is via Clickbank, where you’ll find thousands upon thousands of products to sell. Best of all, the commission rates are generous. You’ll see them as high as 50% and even 75%! Still another way to make money on your blog is by showing advertisements on your site. You make money every time someone clicks on your ad! You don’t have to sell a thing. You don’t have to convince anyone to buy. Instead, share you very best tips, secrets, and strategies with your readers within your blog posts and pages on your blog site. All you have to do is post good content on your site to attract prospects… and you get paid every time they click on an ad. It’s easy! I’m sure by now you can see that there’s a world of profitable opportunities waiting for anyone who wants to start up a blog and these 3 ways to monetize your blog are proven ones. I teach a popular course on really simple authority blogging you may be interesting in joining if you are ready to build and grow an online business using a blog as your home on the internet.